Camu camu is arguably the richest known source of vitamin C, providing about 30 times more ascorbic acid per serving than an orange. 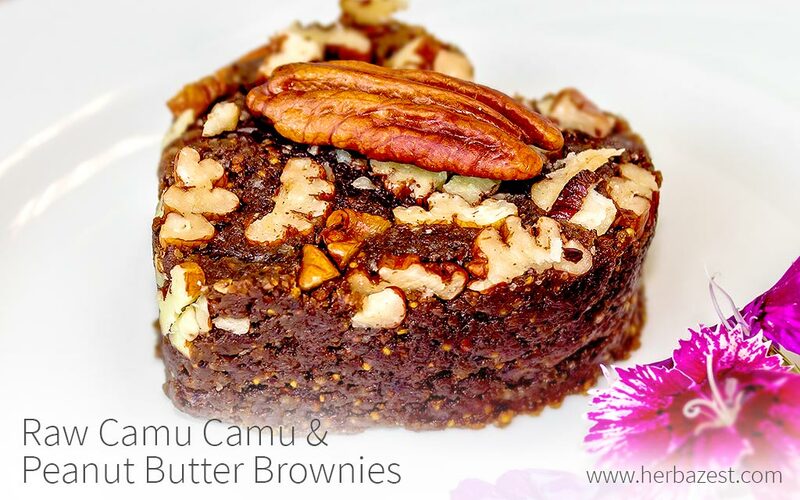 This tasty brownie combines the antioxidant properties of camu camu powder with the healthy fatty acids and protein-rich content of peanuts. When these powerful ingredients are blended with dried figs, which are high in digestive fiber and low in sugar, you get a nutritious snack that will fill you with plenty of energy between meals. Although these peanut butter brownies with camu camu are rich on their own, they can also be accompanied by a scoop of delicious homemade ice-cream, such as lucuma ice cream or camu camu blueberry chia ice cream.